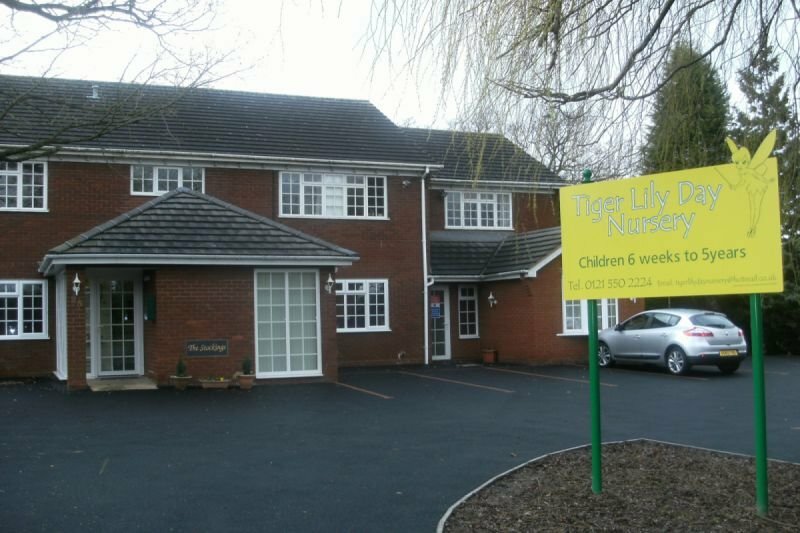 Tiger Lily Day Nursery is located on the outskirts of Halesowen, West Midlands and was formally known as The Stockings Residential Home. It has received a full renovation and opened its doors in January 2011 as a children’s day nursery. Joint Managing Directors; Charlotte Moseley and Melissa Rexworthy; both having young children wanted to create a business that would enable them the freedom to watch their own children grow. With having experience of running a residential business and managerial qualifications, Tiger Lily Day Nursery became a reality. To be the first choice childcare provider within our community, offering the best service to our families and giving all children the opportunity to reach their full potential. Our aim is to have happy, confident and caring children, who are motivated to learn through our well planned and exciting activities using both our indoor and outdoor environment. We aim to provide a safe, caring and stimulating environment in which children may learn and grow in confidence and self-esteem whilst providing a friendly, flexible childcare service for parents. Creating a secure and happy environment that is child centred, stimulating and safe. To do our best to offer the flexibility when meeting individuals requirements. To employ qualified and experienced staff who pledge to give your child the very best attention and education. To adopt the philosophy of positive learning through positive play. To make learning fun for all. To provide healthy nutritious meals. All children have a key person, who is responsible for their needs during their time at nursery. This will include making observations on your child’s development as well as giving meals and feeds and carrying out nappy changes or potty training, as appropriate. You will be included in your child’s day at nursery through communication diaries, notice boards and general conversations.